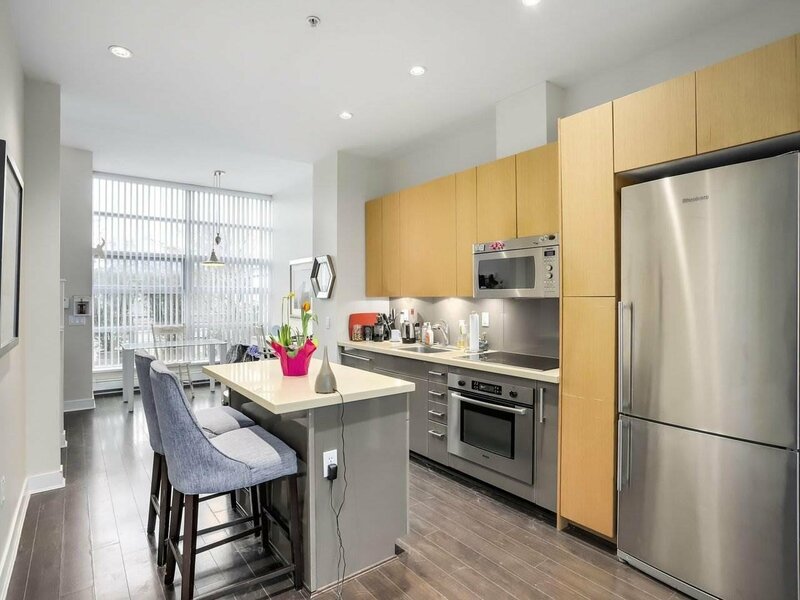 Description: Welcome to the best in urban living! 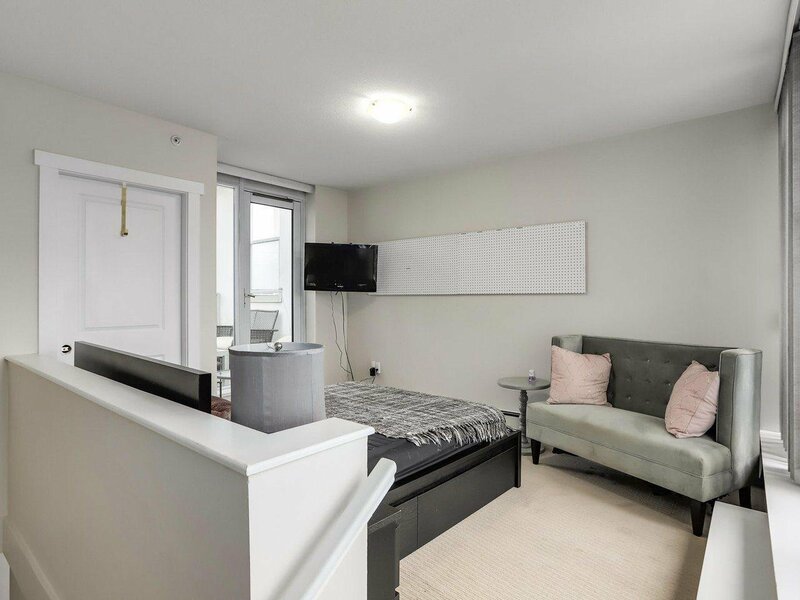 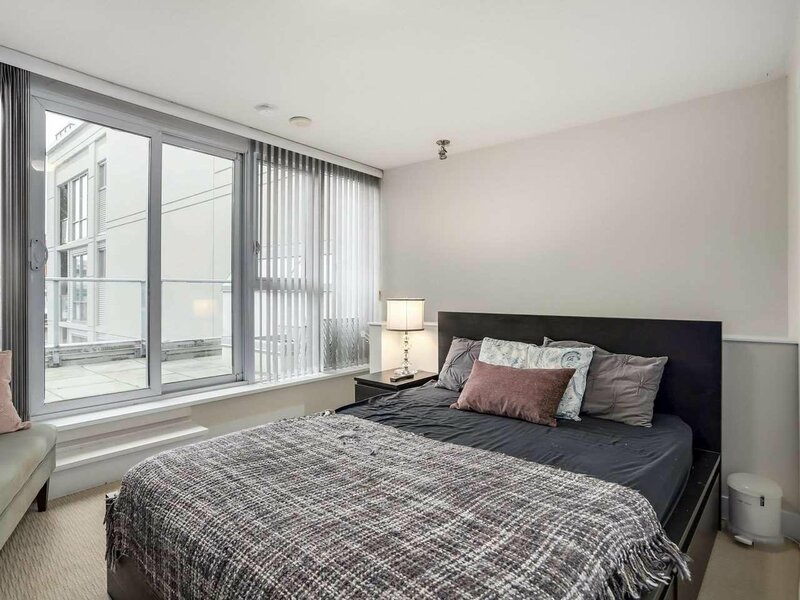 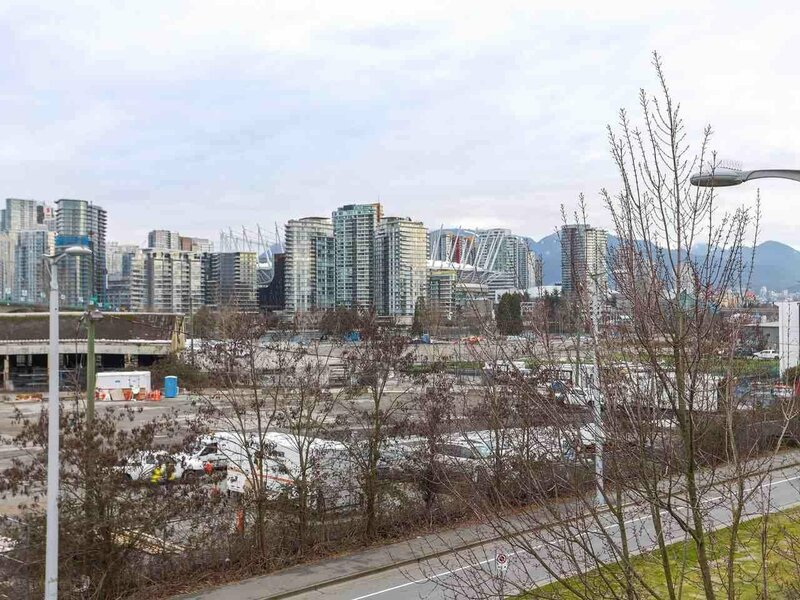 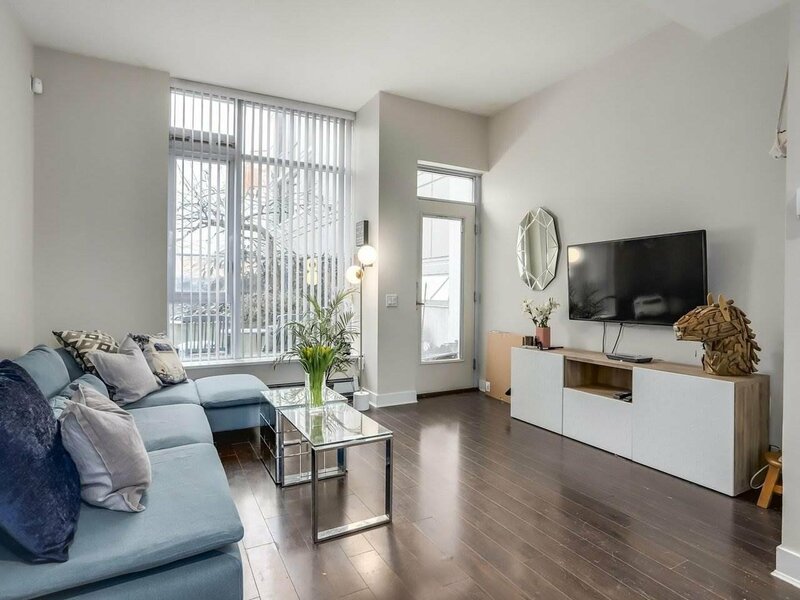 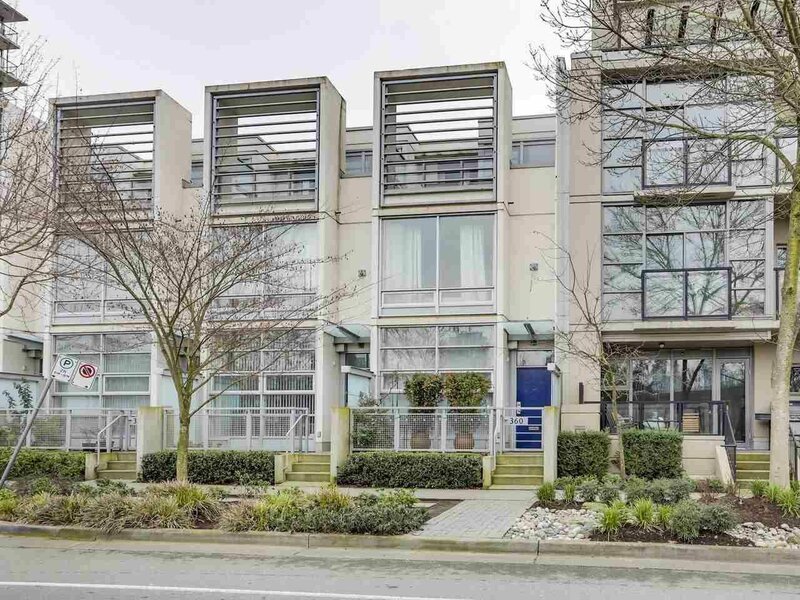 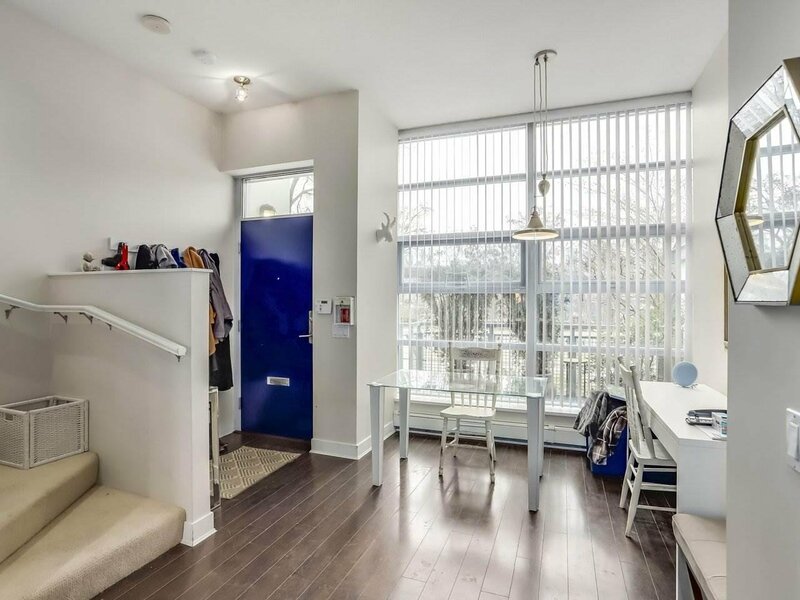 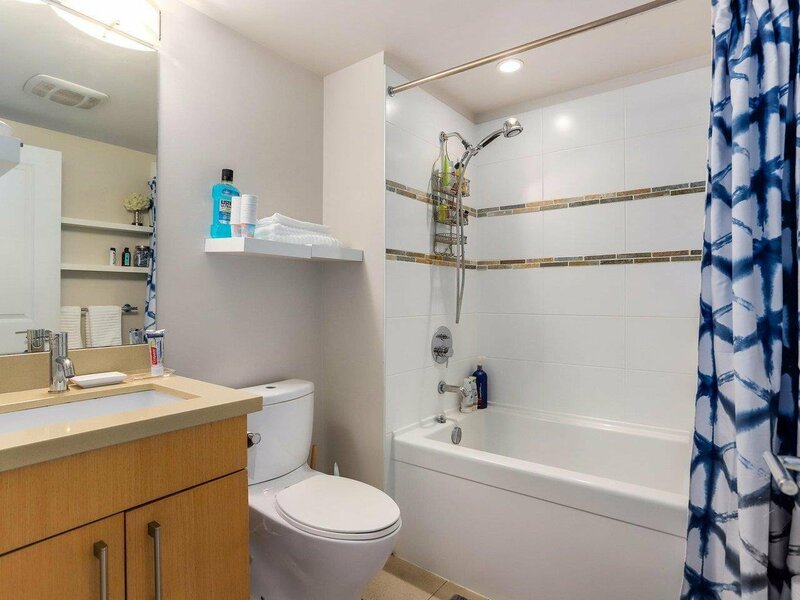 Built by Polygon, this stylish 3 bdrm, 2 bath townhome is just steps from the Olympic Village, skytrain, seawall and all of Downtown's amenities. 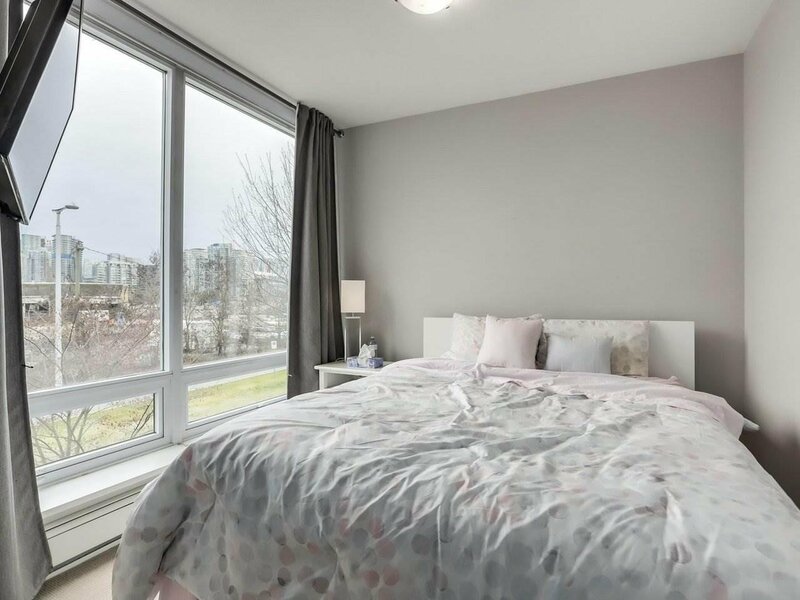 Flooded with natural light w/ over 1300 SF, it has a spacious and open design w/ high ceilings, floor to ceiling windows, gas fireplace and two main level outdoor spaces! 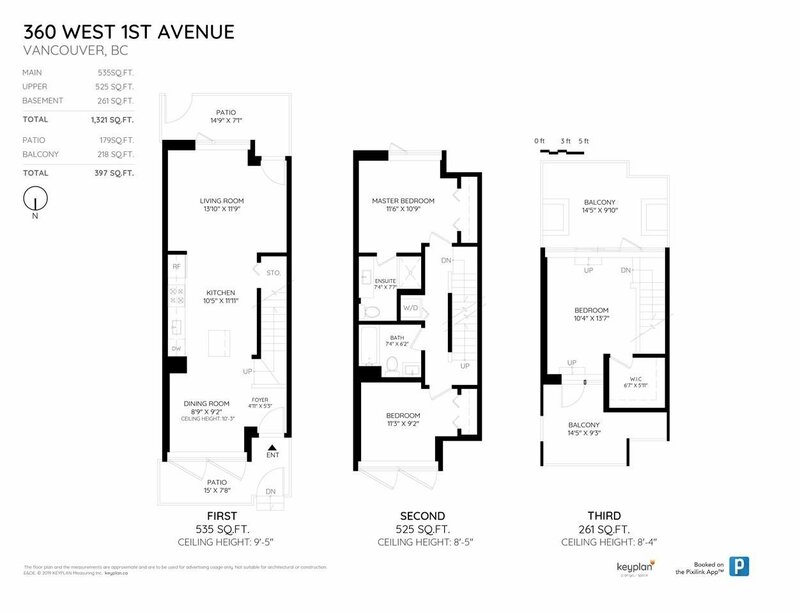 Upstairs there are 2 great sized bedrooms & 2 full baths. 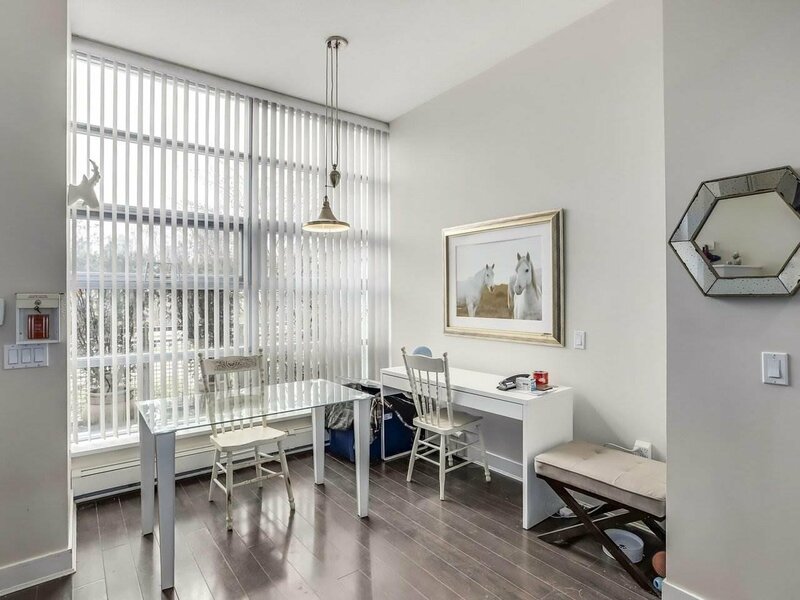 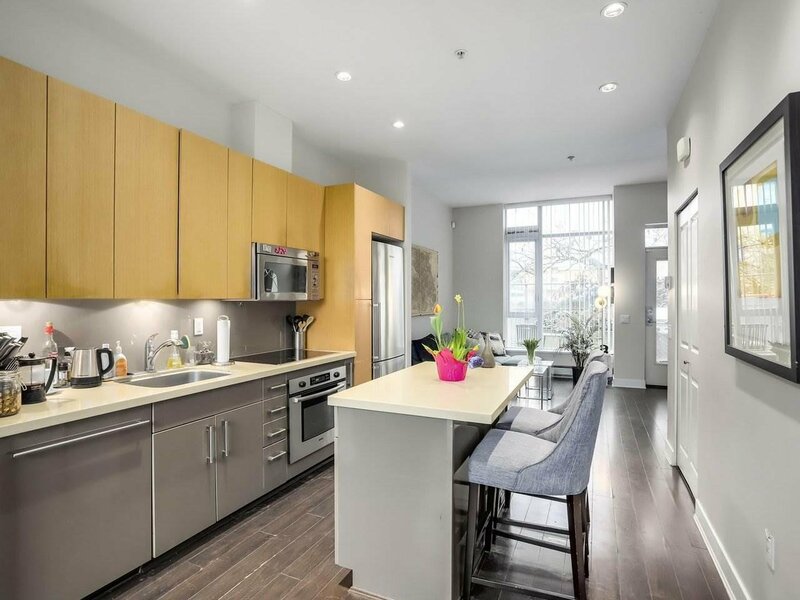 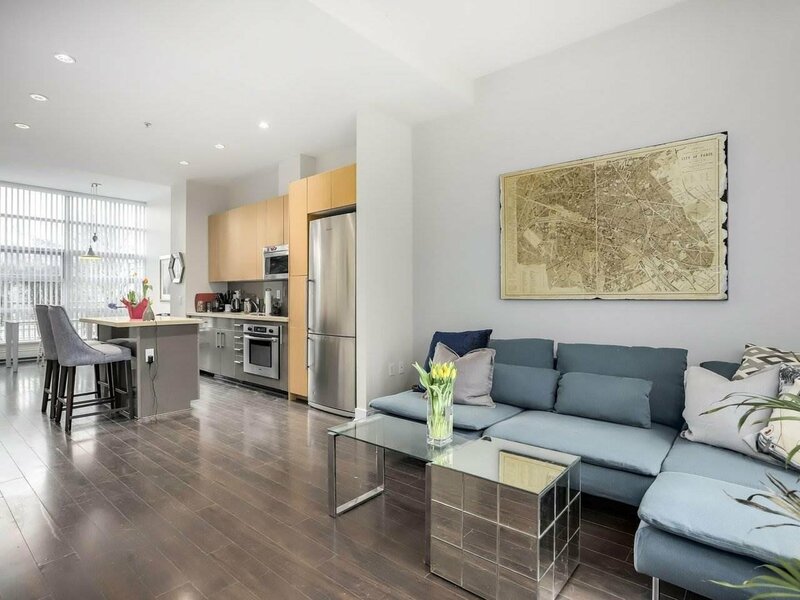 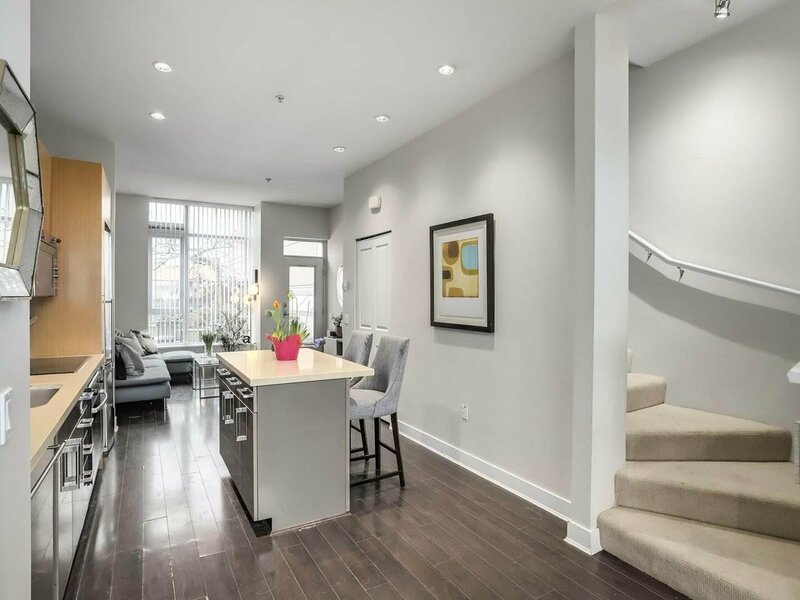 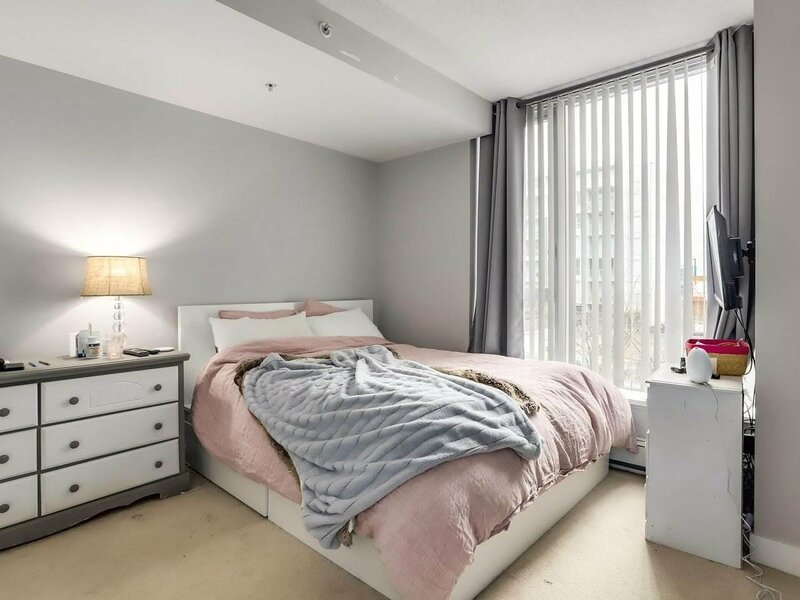 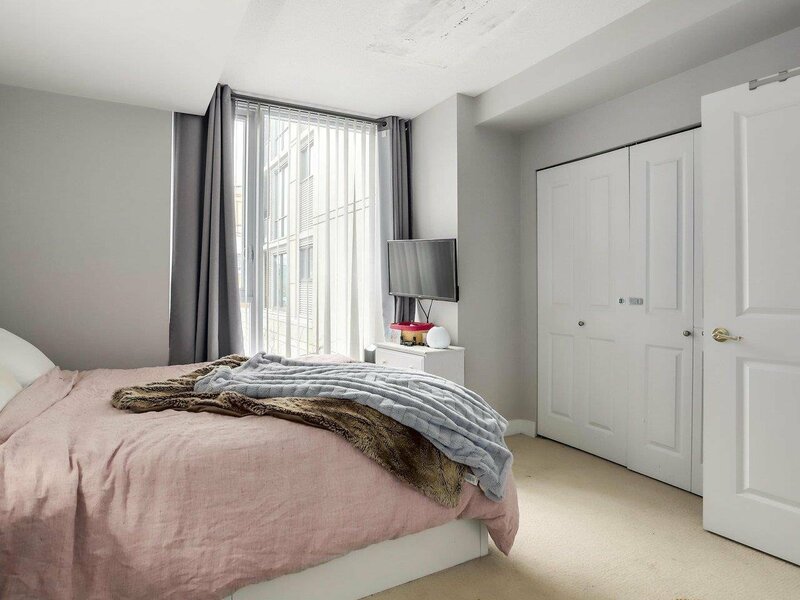 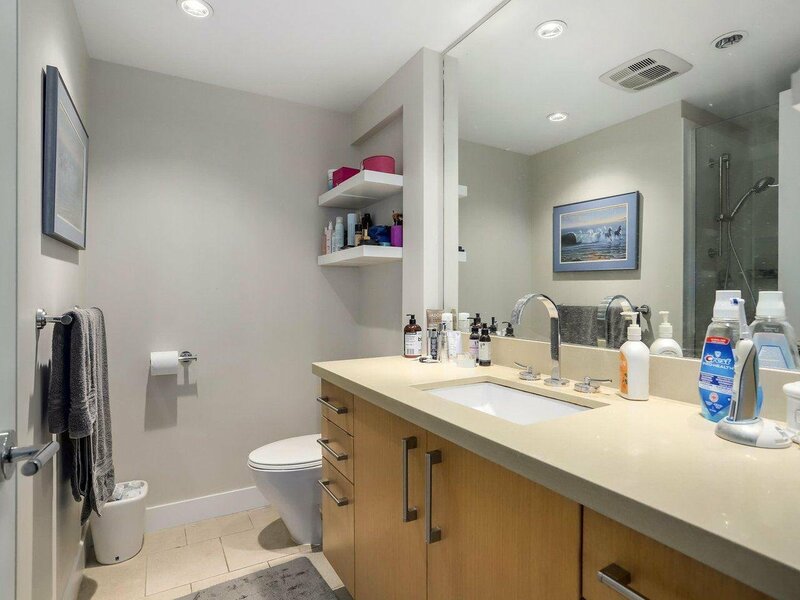 The top floor features an open loft/bedroom with 2 huge balconies and beautiful city views! 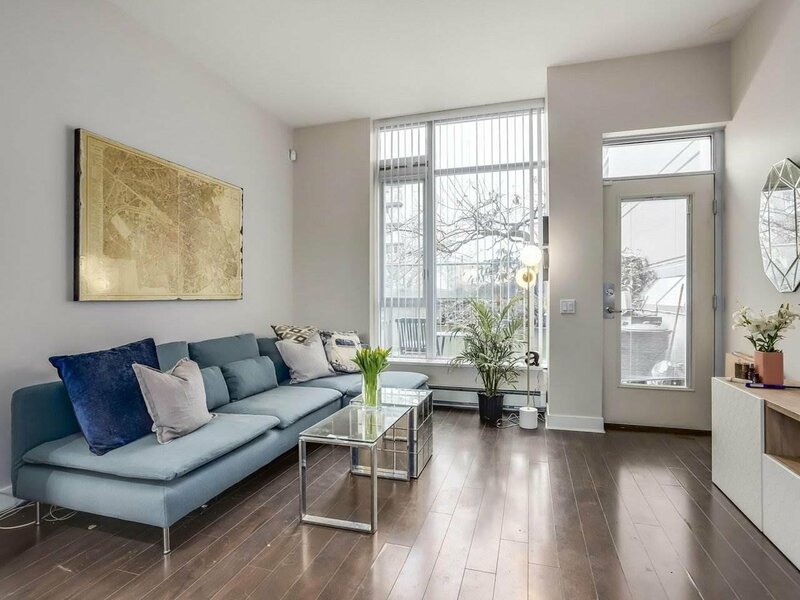 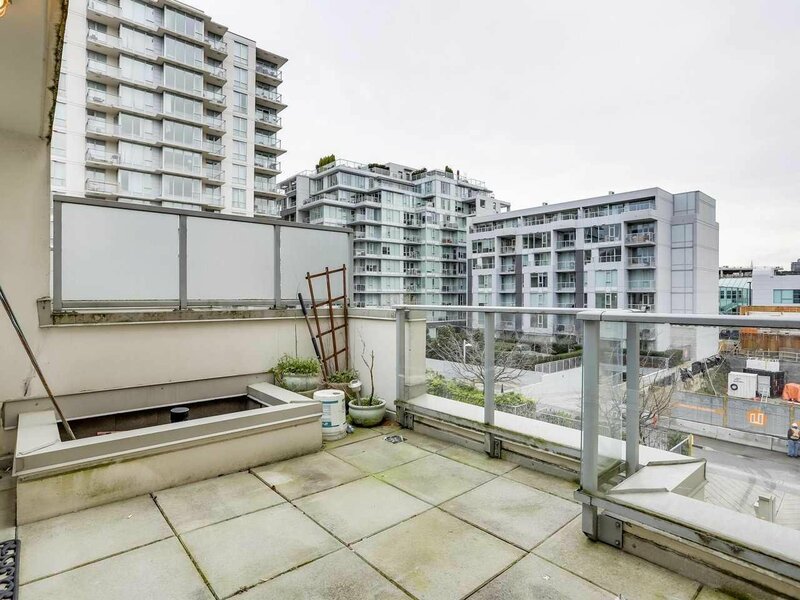 This urban home has 4 patios & decks ideal for entertaining & gardening, large parking spot, great in suite storage & unlimited rentals which makes this is a great investment! 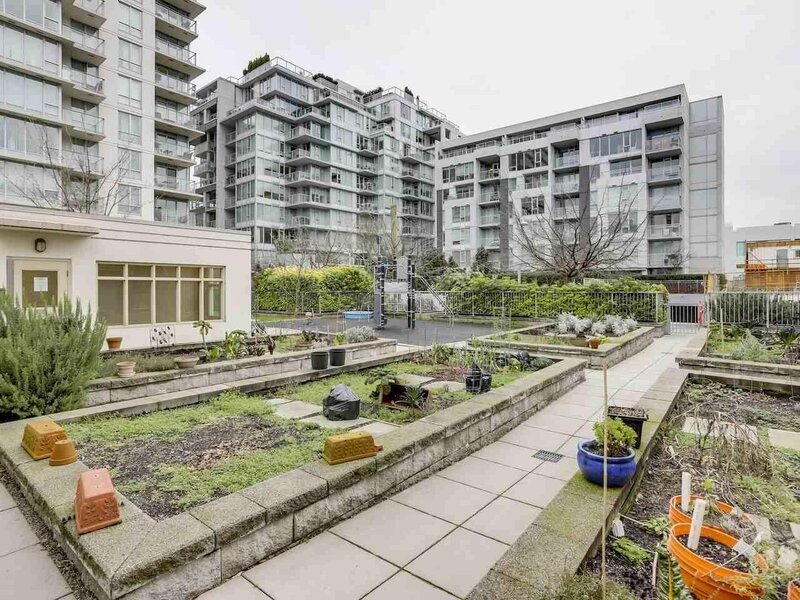 Recreation center, outdoor shared garden space and playground right outside your backdoor.